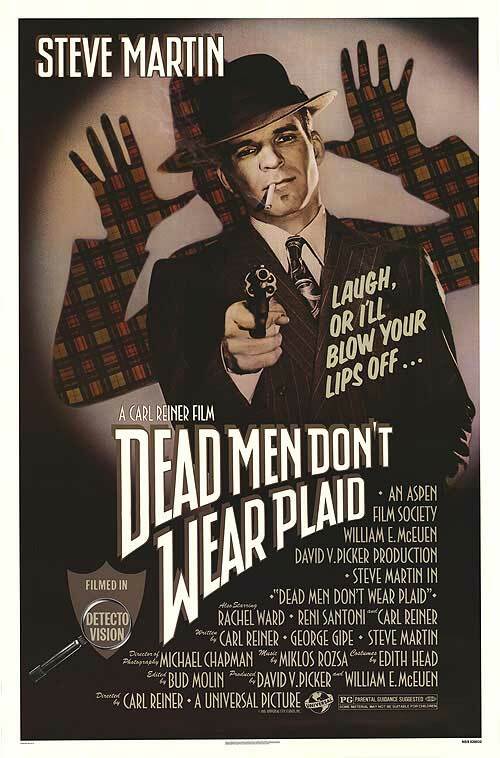 Dead Men Don't Wear Plaid (1982) is a hilarious parody in the tradition of Young Frankenstein (1974). As much as I like The Jerk (1979) and even though I've seen that film many times and have only seen this film for the first time tonight, I think it's my favorite Reiner/Martin pairing. Maybe it's the ingenious incorporation of old noir films, maybe it's the loving tribute to the "genre" (the voiceover in particular is perfect) or maybe it's just because I laughed out loud so much.